This week we asked: What do cookouts look like? This is how a professionally trained chef (Mike, husband of NPN’s own Jennifer) cooks hotdogs. 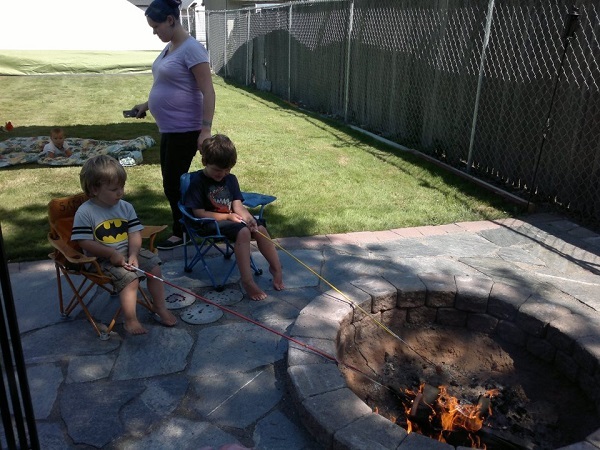 Not much better than a weenie roast in Grandma’s backyard fire pit. 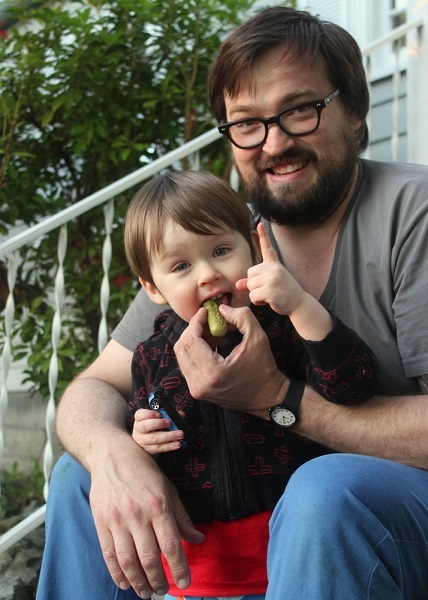 Homemade pickles are number one! 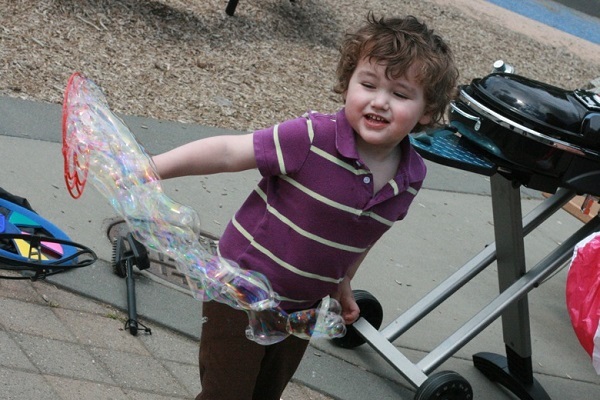 Mikko frolics with bubbles at his summer birthday party bash. 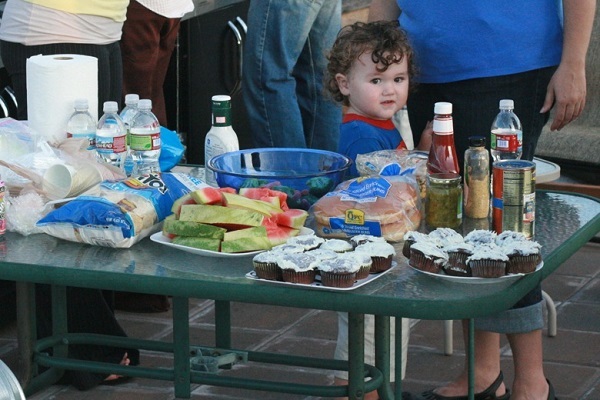 A young Mikko eyes the spread at a rooftop party with friends. 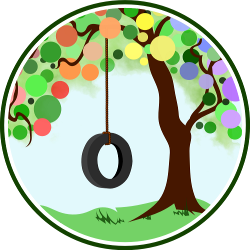 mobile and able to take part in so much of the fun. 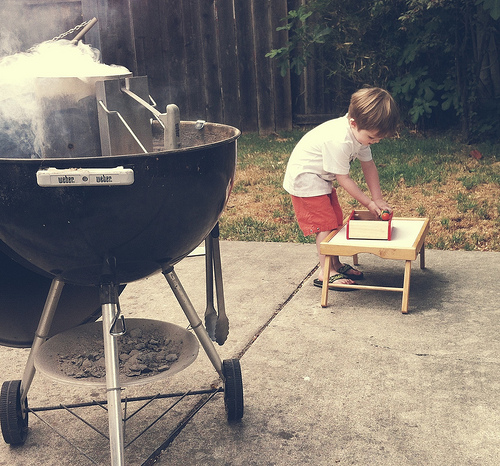 Tell us: What do cookouts look like in your family? Charise, she’s getting so BIG! These are super fun pictures. I love the pickle boys. 🙂 And that is some awe-inspiring hot dog maneuvering. I’m with Lauren. I was thinking when did she stop being an infant?! She’s so big! 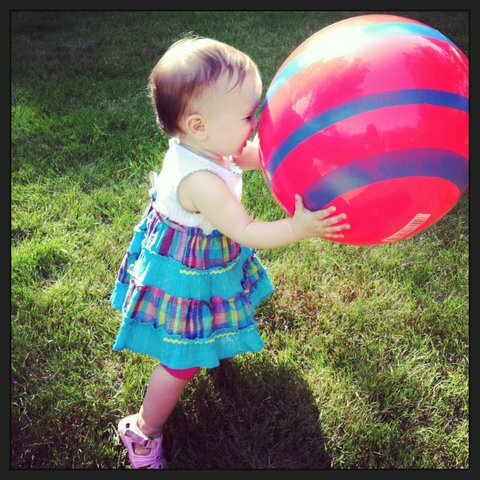 Great photos… I want to go to a cookout now! 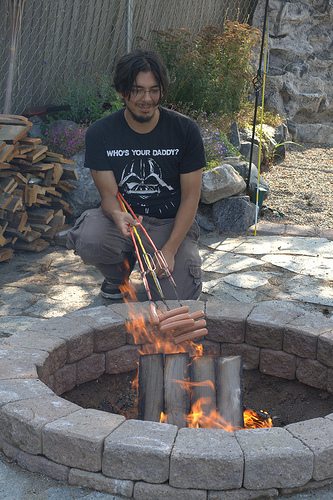 Now that’s an efficient way to cook hot dogs.